Product categories of Rattan Furniture, we are specialized manufacturers from China, Rattan Furniture, Outdoor Rattan Furniture suppliers/factory, wholesale high-quality products of Outdoor Rattan Chair R & D and manufacturing, we have the perfect after-sales service and technical support. Look forward to your cooperation! Perfect home is desired by all individuals and garden play an important role in giving your home a perfect look. Rattan Outdoor Furniture is gaining popularity because of its beautiful look and durability. 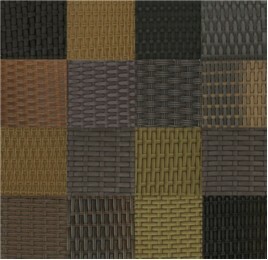 Rattan outdoor furniture is ideal for best internal decoration of your home as well as your office. The Rattan Furniture is very strong and is not affected even by rain and water which makes it perfect choice for outdoors. And cleaning them is easy as you don`t need to polish them. They can be cleaned by just using a wet cloth. Also They are lightweight because of which you can easily move them which is a great advantage as compared to other type of furniture. This furniture look is further improved by using the comfortable and colorful cushions and pillows. Rattan furniture is now made in combination with other materials like wood and steel and this style is also very much in demand these days.